I was very lucky to have had a beautiful bridal shower thrown for me almost a year ago by my bridesmaids Allie, Melanie and Lauren and my mom. 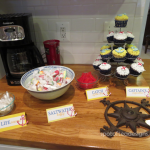 Just a few weeks ago they partnered up again to throw me another beautiful event, a baby shower… at my house! WARNING: Photo overload ahead! There were just so many adorable parts of this shower that I couldn’t resist sharing all the beautiful handmade decorations and thought that went into our special day! 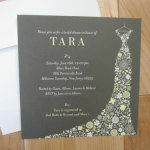 Guests got their first glimpse of the colorful shower theme when they received the above invitation in the mail. 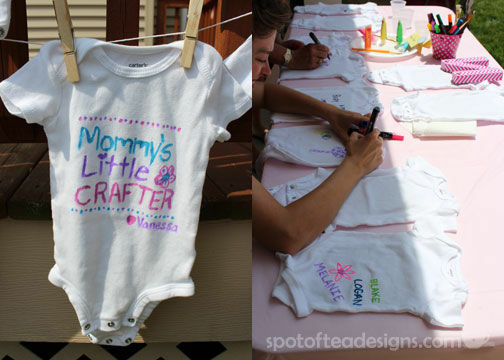 It’s an adorable graphic baby girl print from Tiny Prints. 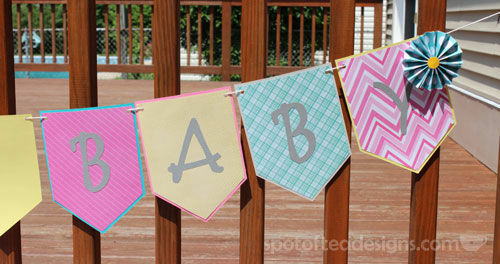 Seriously, you CANNOT go wrong by choosing a Tiny Prints Baby Shower Invite! 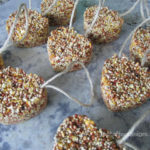 The invite is shown here in a basket of yummy handmade chocolate covered pretzel favors. These were made by my mom’s coworker who had also made the chocolate covered Oreos from my bridal shower. 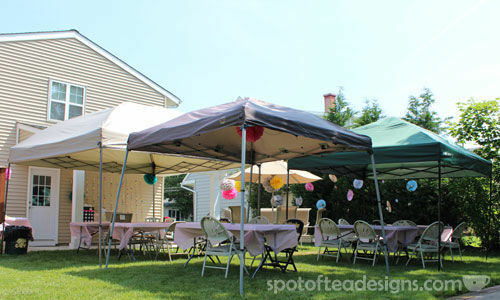 Guests walked into my sunny backyard where the party tents and surrounding trees were dressed in handmade tissue paper pom poms and paper rosettes. Allie created all of these by hand, following tutorials and recommendations found online, such as this one from Martha Stewart for the tissue paper pom poms. Allie’s tip: attach the fishing line or wire prior to puffing them out in their pom shape. 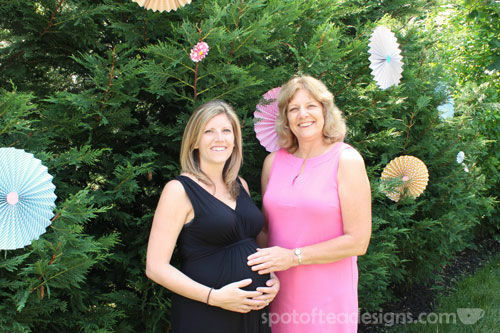 Above you can see me (at 30 weeks, wearing this Old Navy maternity dress) and my mom with the colorful paper rosettes as our backdrop. See how to make the rosettes following my tutorial here, though Allie said she actually used three sheets of paper instead of only 2 like I used. It makes them look more full that way! Speaking of backdrops, Allie thought of everything! 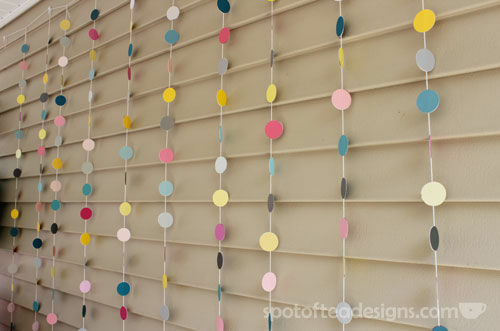 She created this pretty dot garland by punching circles and gluing them back to back on twine. Anyone who knows me, knows I like crafts! 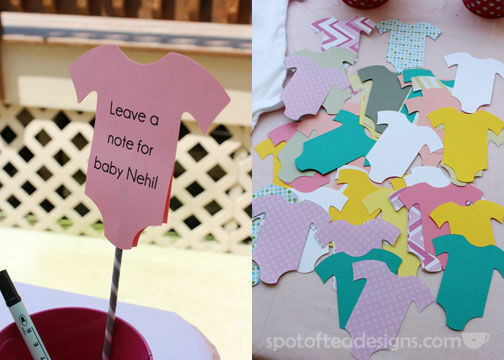 So instead of games, my shower had a table set up as a station to fill out advice cards and to decorate a onesie! The food and dessert didn’t lack the handmade touch either! 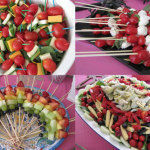 Special salads were made for lunch to pair with the catered hot food, then adorable things, like the baby carriage fruit basket came out for dessert! Great job on that, Lauren! 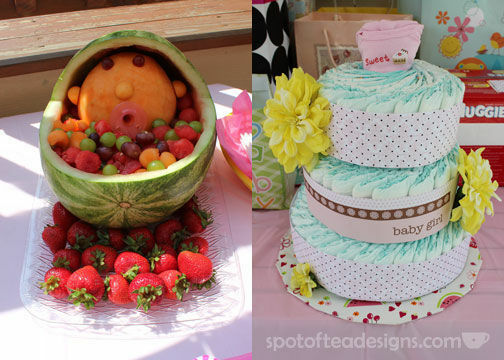 And I also can’t forget the diaper cake my sister made me, using my own tutorial from this blog post! 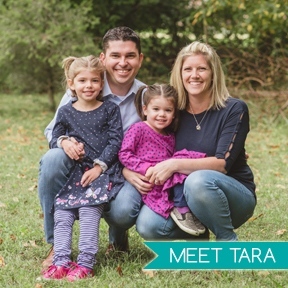 Now you can see why this post HAD to have an over abundance of photos! 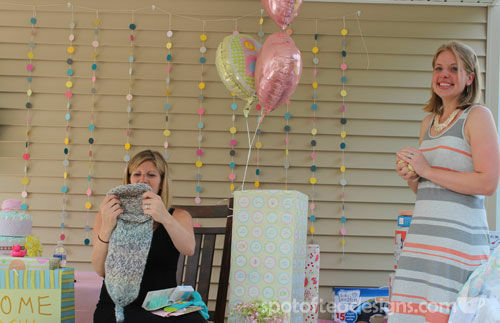 A special thanks to Lauren, Melanie, my mom and especially ALLIECAT for all the hard work on the handmade touches that made my baby shower very special to me! We’re so lucky that so many family and friends were able to come out and celebrate this happy occasion with us! Beautiful!!! I just started cutting the fabric for your quilt. I want to have it done by the time we visit. It is so soft. I only changed what pattern I was going to use about 3 times. I can’t wait for you to see it :) The other thing I am working on is reusable nursing pads. Let me know if you want some. 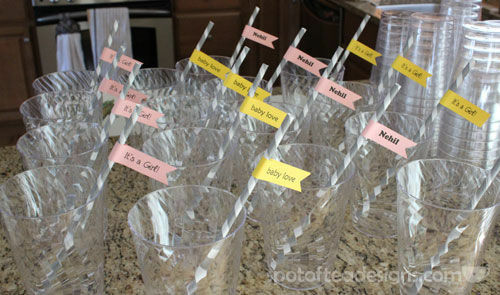 What a beautiful baby shower!! 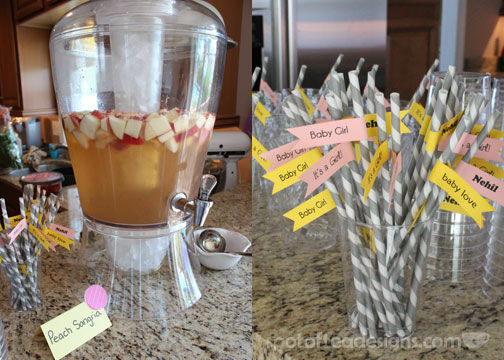 Lots of really great baby shower ideas! So lovely! What kind of pens did you use please? I am doing a shower for my niece and there are so many options. Thank you! Hi Katherine. 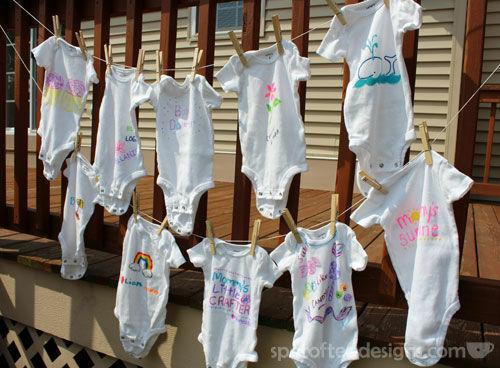 If you’re referencing which pens we used for the decorate your own onesies, it was a set of fabric pens purchased at a craft store.